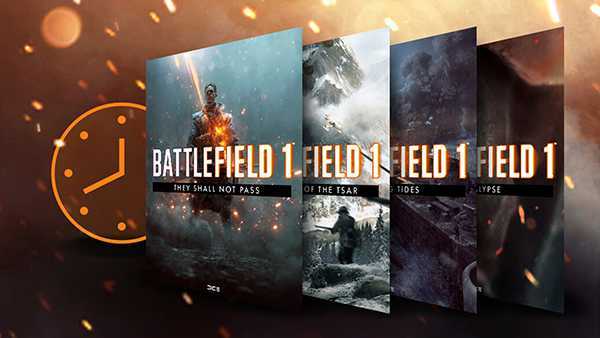 Battlefield 1: They Shall Not Pass, the first expansion pack Battlefield 1, is now available for Premium Pass holders. The expansion features the French army, 4 new maps, new weapons, a new game mode, 2 new Operations, and much more. Want in early? A Battlefield 1 Premium Pass will grant you 2-week early access to They Shall Not Pass - and all upcoming expansions. The Battlefield 1 Premium Pass includes 16 new multiplayer maps, 20 new weapons, 14 unique dog tags, and 14 Battlefield 1 Battlepacks containing stand-out weapon skins. Each Battlepack is delivered monthly, starting November 2016. Check out XONEHQ's 'Battlefield 1 They Shall Not Pass Xbox One Multiplayer Gameplay' on YouTube, and don't forget to subscribe!